The future is so bright, your graduates have a reason to celebrate! 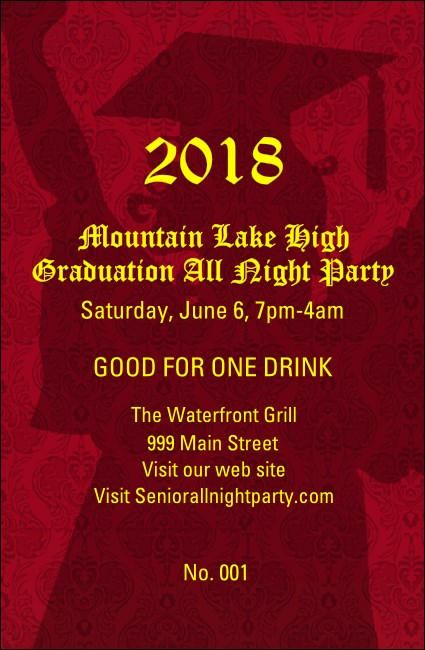 Perfect for open houses and grad bashes the Cap and Gown Drink Ticket helps keep your party goers out of line and in the mix. Each ticket template is individually numbered for security. Move into the future with great designs from TicketPrinting.com.